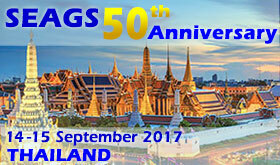 already crossed the following cities: Rotterdam, Zurich, London, Paris, Montreal, Mexico, Moscow, Tokyo, Stockholm, San Francisco, Rio de Janeiro, New Delhi, Hamburg, Istanbul, Osaka and Alexandria (17th International Conference on Soil Mechanics and Geotechnical Engineering), with a periodicity of four years. 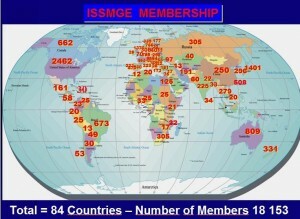 The diversity of all 84 ISSMGE Societies, distributed over 6 Regions (see Figure 1) is our great richness and a source of inspiration. It is our great challenge, but also a unique opportunity to re-design ISSMGE, due to the changes of basic societal structure, in order to reach a new model. We need to recognise the importance of dialogue to give our hands, to work together and to pursue perfection to reach the optimum solution. 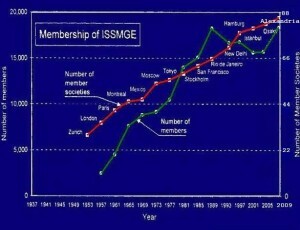 Figure 2 presents the changes in Membership and Member Societies of ISSMGE. Prof. Pedro Sêco e Pinto submitted a proposal at the Orlando Board meeting that there could be Special Sessions at each of the Regional Conferences during 2011, as a mark of celebration. This proposal was unanimously supported by the Board. Also a Special Session should take place during the 6th International Congress on Environmental Geotechnics (ICEGE) in New Delhi, 8 -12 November 2010.
iii) A Young Geotechnical Engineer to speak about the Future. iii) A Young Geotechnical Engineer from the Region to speak about the Future. The involvement of young engineers is very important as ISSMGE has the responsibility to prepare the Young Geotechnical Engineers to face the real needs and the new challenges of Society, to reduce the gap between theory and practice, to help them explore their intuition and to teach them the importance of engineering judgement. XI Australasia Geotechnical Conference, 8-11 November 2011 (later it was postponed to 15-18 July 2012), Melbourne. 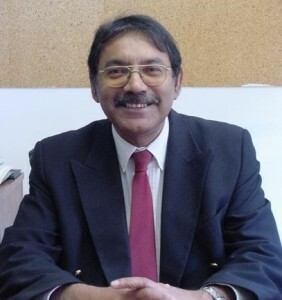 In Orlando, Prof. Pedro Sêco e Pinto also proposed the publication of a Special Volume that would integrate the contributions of the Presidents, of the Regional Vice Presidents, of the Secretaries General, of the young geotechnical engineers, of the TCs chairpersons and of other International Societies, e.g. IAEG, ISRM, ITA, IGS, IACMAG, ICOLD, IUGS and photos from special events. Later for the occasion of the Board meeting in New Delhi, on 7th November 2010, the Board proposed to publish a Special Issue of ISSMGE Bulletin in place of a Special Volume. It is for me a great honor and pleasure to submit this short note to ISSMGE Bulletin summarizing the background of ISSMGE 75 Years Anniversary and I would like to profit this opportunity to express to all ISSMGE members a word of praise and gratitude for your contribution, wishing that ISSMGE continue to be a space of scientific interaction, sharing of experiences and launching of innovative ideas to open new avenues.